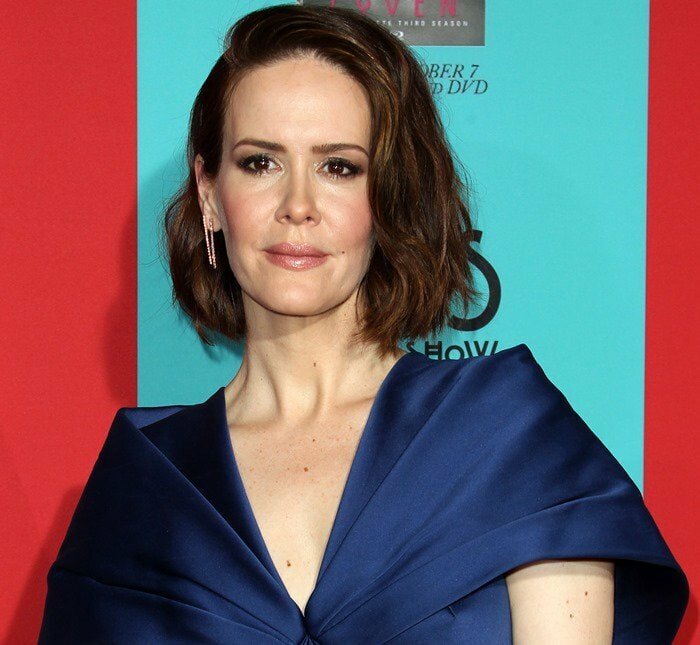 Sarah Paulson showed off the colorful starburst design tattoo on the top of her right foot on the red carpet at the 2019 Directors Guild of America Awards at the Ray Dolby Ballroom in Hollywood, California. Sarah hit the stage at the show to present Ben Stiller the award for Outstanding Director – Movies for Television and Limited Series for his Showtime show Escape at Dannemora. It is based on the true story of the 2015 Clinton Correctional Facility escape in upstate New York. The ‘Ocean’s 8’ actress shimmered in a metallic Miu Miu cutout dress paired with Nikos Koulis jewelry and Helix pumps from Jimmy Choo. In October 2014, Sarah also showed off her foot tattoo in a classy purple dress at the fourth season premiere of her hit show ‘American Horror Story: Freak Show’ held at TCL Chinese Theatre in Hollywood. She was joined on the red carpet by Emma Roberts and Lea Michele. The 39-year-old actress wore a Zac Posen “Duchess” dress featuring a shallow V-neck, a cape-style back with pleating over the shoulders, and a trumpet skirt with godet pleating at the front and back. Sarah carried a Tyler Alexandra clutch and accessorized with Vita Fede rings and Graziela Gems earrings. 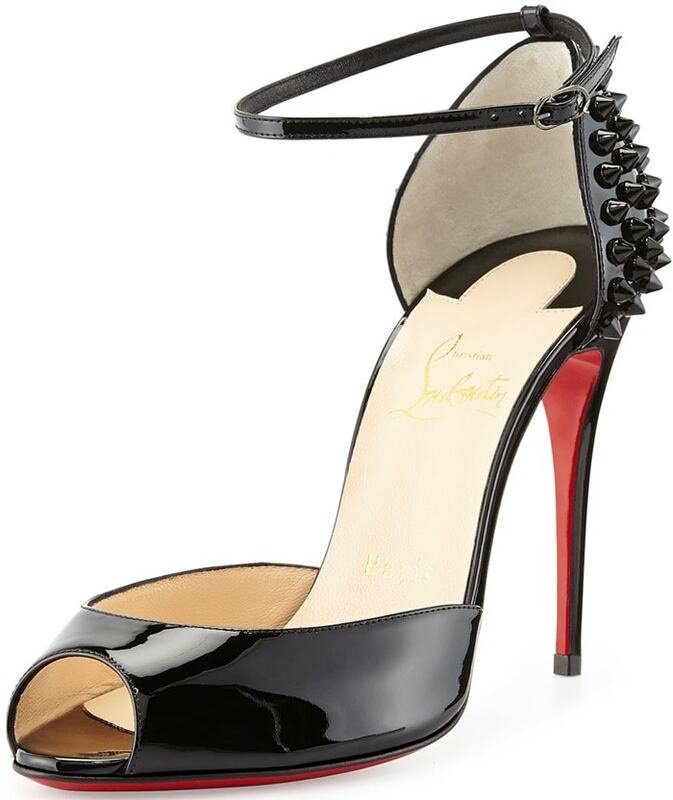 The outfit was completed with black patent leather “Toboggan” pumps by Christian Louboutin featuring thin asymmetrical toe straps, a half d’Orsay design, and 100 mm heels. How do you like Sarah’s cap-back stretch Duchess dress and glossy black patent leather pumps? 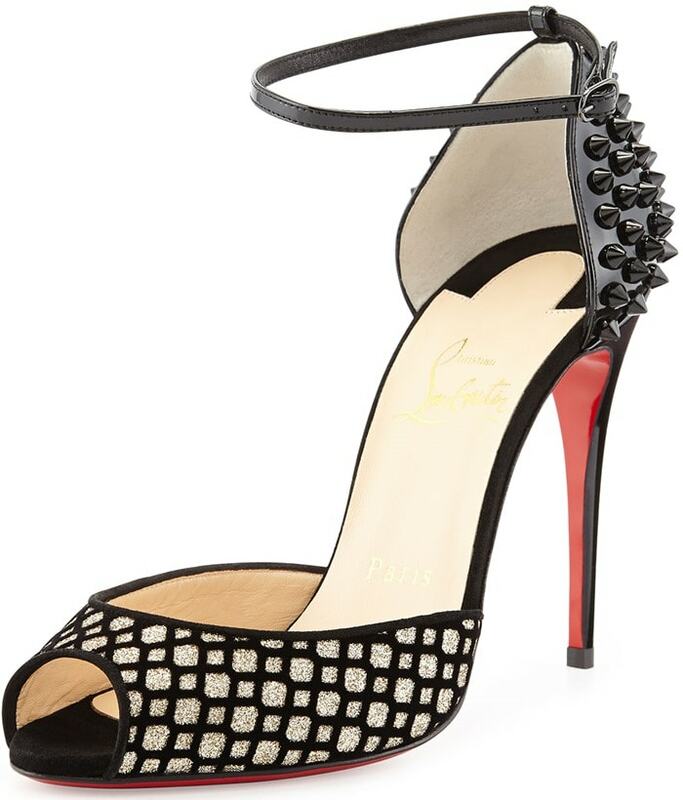 The latter are from the Spring 2014 collection and have unfortunately sold out at Neiman Marcus. However, you can check out the following alternatives from the same designer.